A spectacular chocolate lover’s hamper including a range of artisan chocolate and other chocolate treats. 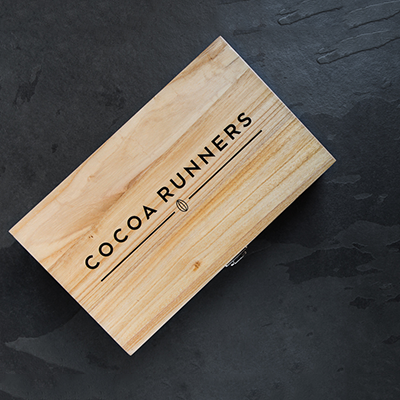 The chocolate goods are presented in a beautifully embossed wooden box that we’re certain you’ll use for years to come. Presented here is the ultimate chocoholic fantasy; a wondrous array of artisan chocolate treats ranging from handcrafted bars to cocoa tea and more. Nestled inside this luxurious hamper you’ll find chocolate bars from the top makers in our chocolate library from all over the world. 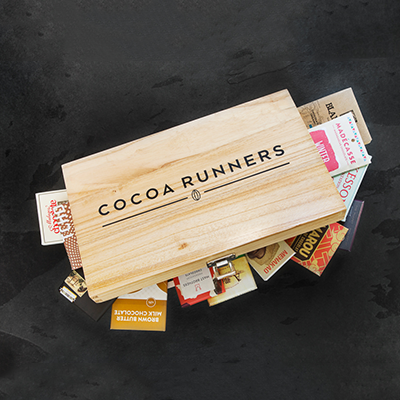 This sumptuous hamper provides a comprehensive tour of the very best the world of bean to bar chocolate has to offer. From white chocolate crafted in north London to dark chocolate sourced from Africa to Latin America, this gift charts the full spectrum of flavour and intensity. Carefully curated to make sure it delivers our outstanding chocolate experience, this generous hamper is a fabulous way to spoil someone whatever the occasion.